It is an understandable question. This article is designed to give you a brief outline of three of the best reasons for deciding to buy and use a drone. The most popular reason for buying a personal drone, is for hobby flying. Imagine taking your new drone into the countryside, and controlling its’ flight at high-speed and incredible altitude. Watching from the ground, you are amazed at the drone’s dexterity and responsiveness. As you gain more experience and skills at flying your drone, you find that this is a hobby that increases your concentration, gives you a release of adrenaline, and also provides you with immense self-satisfaction. Drone flying really is fun, and it is no wonder that it is a rapidly-expanding hobby around the world. You may also want to join one of the many drone flying clubs. Becoming a member of one of these groups, means that your hobby can also connect you to new, like-minded friends. Whatever your budget, there is an ideal drone for you. For your first purchase, we recommend checking out the Amazon Drone Store. Are you a keen photographer? If yes, drones could be a great new tool for you. Many drones (including the A.R. Parrot 2.0 and the DJI Inspire 1) come with onboard cameras. These cameras enable you to take both aerial still shots and video footage. If you haven’t yet seen a video filmed from a drone, then you are likely to be amazed. It can be dramatic, epic or simply beautiful. For most photographers, drones are likely to be the next obvious step forward. They provide unique perspectives and infinite possibilities. GoPro, are world famous for their action cameras, and it is no surprise that they are already in the drone market. One popular combination, is the DJI Phantom 2 Vision+ Quadcopter, twinned with a GoPro camera. Virgin’s Richard Branson recently invested in drone company 3D Robotics. Branson was right. Drones are set to transform our industries, environment and lifestyles. Already, high-profile companies such as Amazon, Facebook and Google are spending big dollars on developing drone technologies. 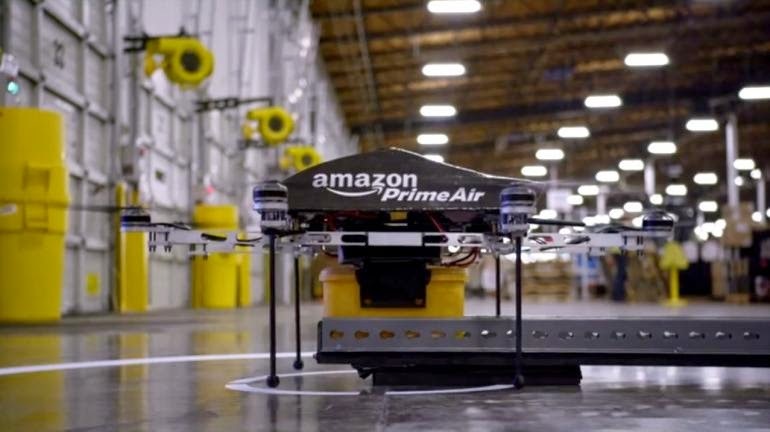 In Amazon’s case, they wish to use drones for order delivery purposes. Facebook and Google, have set their sights on solar-powered drones that provide internet access for hard-to-reach areas. These three examples, are just a small fraction of the potential market that drones are likely to create in the coming years. After buying and learning to fly a drone, you may find yourself drawn to a career in this exciting new industry. There can be no doubt, that thousands of new jobs will be produced. If you learn drone flying and filming skills now, you could give yourself the chance to join this infant, but booming enterprise. Whether it is engineering, software development, piloting, or even drone maintenance - your skills could well be in demand. To give you an idea, Amazon has recently started recruiting staff in the UK for their Air Prime delivery service. Advertised roles include Flight Operations Engineer and Senior Research Scientist. If flying as a hobby leads you to consider a career in drones, then we would recommend taking a look at qualified training. In the U.S., we suggest the Unmanned Vehicle University.